France World Cup-winning goalkeeper Steve Mandanda will be out for up to four weeks with a torn hamstring, his club Marseille confirmed on Monday. 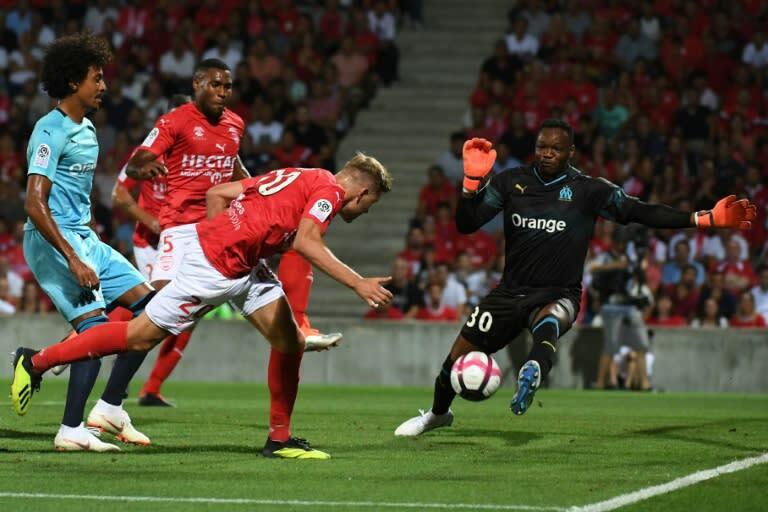 Mandanda, 33, tore his left hamstring during Marseille's shock 3-1 defeat at Nimes in Ligue 1 on Sunday and will be out for three to four weeks. He was forced off midway through the second half, with Yohann Pele taking his place. Marseille also lost Bouna Sorr to a fractured toe on a miserable night for last season's Europa League runners-up. Mandanda was the back-up to Hugo Lloris during France's triumphant World Cup campaign in Russia, although he did play in their last group game, a 0-0 draw with Denmark. The injury setback means he will miss France's matches against Germany and Netherlands early next month in the inaugural UEFA Nations League.